I just got these 10-hole Doc Martens boots and I’m extremely disappointed. The seller said that he wears a size US 9 and this pair is a UK 8. After inspecting the item, I immediately saw the ‘7’ heatstamp in the insole and I knew right away that it was no good. The seller was pretty delusional to be perfectly honest. How can you wear a size US 9 and use these smaller-sized boots? Oh, lies. Liza Minelli. He even said that he did not even know that that heatstamp was there. Please. I think it is important for sellers to disclose the true size of the Doc Martens that they are selling and not what they think their size is. It’s like men adding up an inch or two to their “size” when asked. 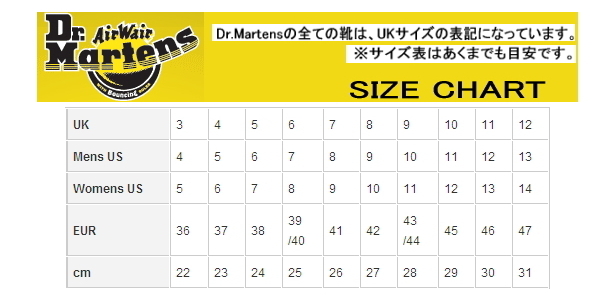 Everybody buying and selling Doc Martens should be made well aware of the size chart above. 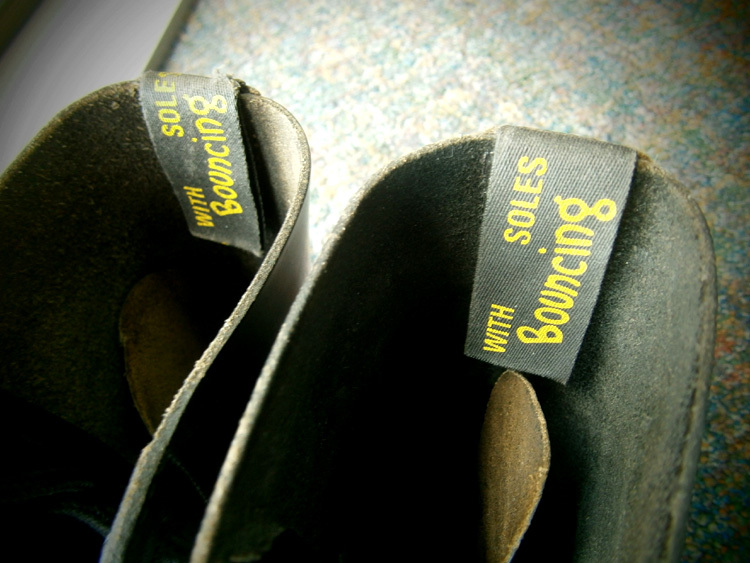 And it is especially important to indicate the UK size because it is the standard measurement of these boots. Again, that size is usually heatstamped/written on the insole as you can see from this link showing UK 8 = US 9, as opposed to the UK 7 = US 8 shown below. You should probably remove those shoelaces and carefully pull that tongue forward to better see it. I still bought them, anyway. And I will most probably resell them again. What a disappointment. Just as I thought that I’d get my fourth pair and then this happened. I’m so affected it’s laughable but I think I can still live with it. I’d just wear the thinnest pair of socks I got and squeeze my feet in — or a pair of stockings. And then… there were five! ABOUT TIME, thank you so much for posting this chart. 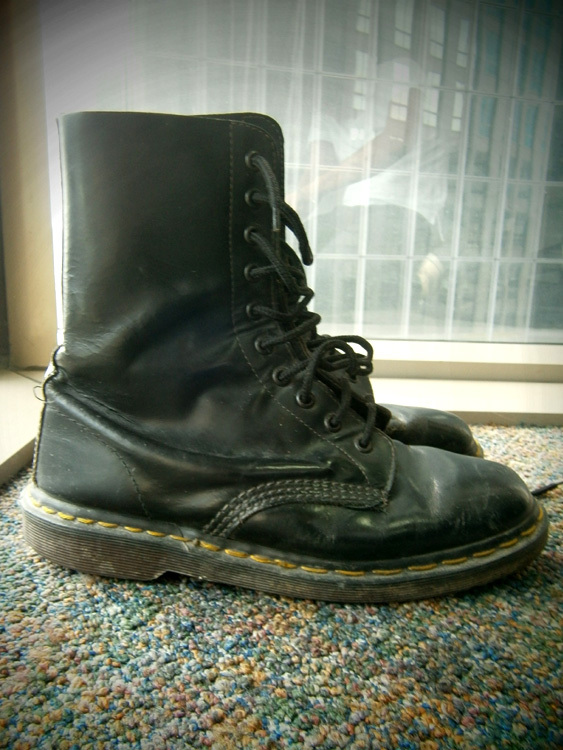 I’ve been looking to buy my 2nd pair of Doc Martens for a few months now and didn’t know how to size for a pair of steel toed DM’s. Once again thank you. I have the same problem with my 12 holes Doc: bought a so called size EUR 36 but it’s too small , Doc Martens failed their chart: EUR 36 is US 6 , not US 5 ! my foot fits in but when I start walking for long hours the nightmare starts: toes nails pain and blisters on the heels. Specially if the toes nail are not cut the shortest. Can’t put a sole in. Can’t even find any stamp with the size on the shoes. I have always worn size 36 for Doc in the late 90’s, with thick socks and additional winter sole and had no problem. Looks like they change their sizing chart and failed. I m so upset with my purchase. Je suis desolé d’avoir entendu votre experience. Would the store be able to accept the pair?